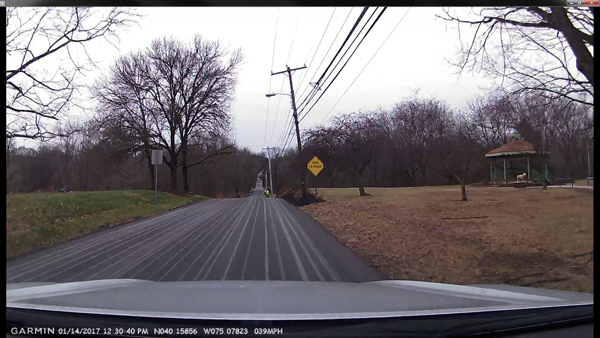 What are Those “Stripes” on the Roadway? We’ve all seen them during the winter season … white stripes running along the length of the roadway. Salt brine is essentially a mix of water and salt. Salt brine isn’t appropriate for every storm, but when it’s used it helps prevent precipitation from bonding to the road. Crews generally will not pre-treat with salt brine when a storm is forecast to start as rain, as rain will wash away the material. On higher traffic roadways, PennDOT may also wet or pre-wet road salt with salt brine to jump start the salt’s melting action … this tactic is most effective when the pavement temperature is 25 degrees or higher. So, what have we learned? In addition to those tidbits of information above, those lines of salt brine are your “friend” when the wintry weather makes an appearance(s) during the cold weather season! James R. Schmidt, Jr., is a Sr. Collision Reconstruction Engineer with DJS Associates and can be reached at 215-659-2010 or via email at experts@forensicDJS.com.